It’s that time of year that I find myself craving biscuits. Not that I don’t like biscuits all year round, but Christmas and the winter months makes me want to kick back (especially after a trip to the gym), madly tear open a box of biscuits and down the lot with a mug of hot white chocolate or a cup or two of tea. 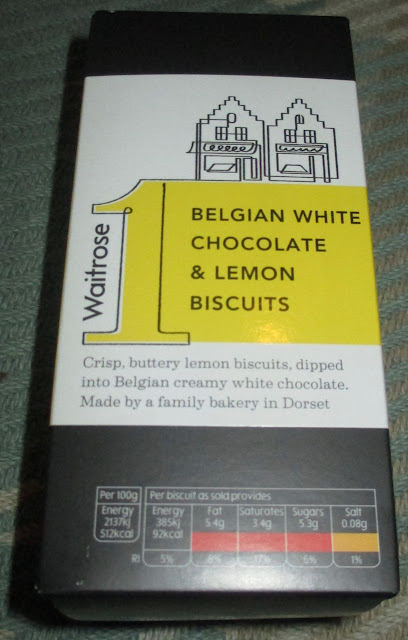 These Belgian White Chocolate & Lemon Biscuits from Waitrose were made in Dorset and, yes you’ve guessed it, are butter biscuits dipped in white Belgian chocolate. 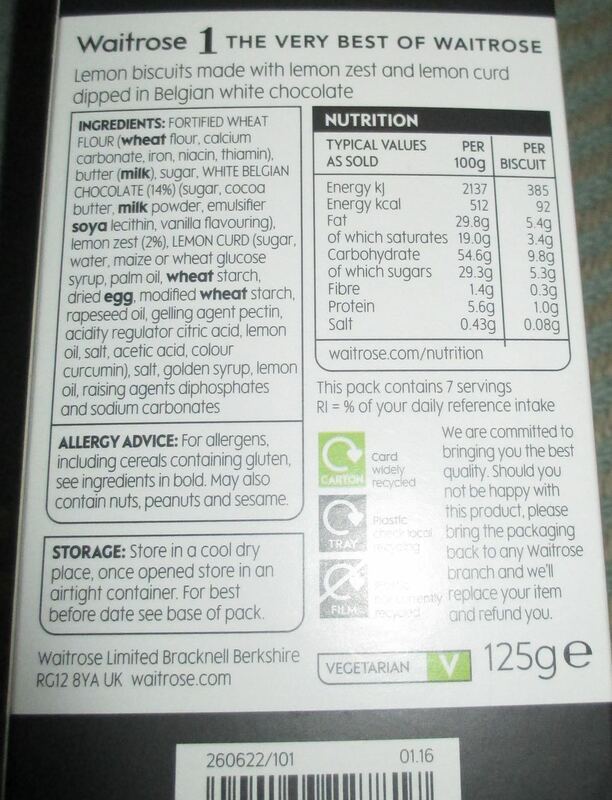 There were seven biscuits in the box, each one with a bald top and white creamy chocolate base. The white chocolate was certainly rich, and the biscuits just melt in the mouth. The lemon flavour in the crisp buttery wheaty biscuits is quite prominent and mixes very well indeed with the creaminess of the white chocolate. I washed these biscuits down with my favourite Prestat hot white chocolate drink, which sadly they’ve stopped making and I only have a couple of boxes of it left. However, I’m sure I can pick up more of these lovely biscuits and sample at least half the paradise next time!